SN 41125 1961 Single Anniversary Project Guitar I can not tell what the original color was. 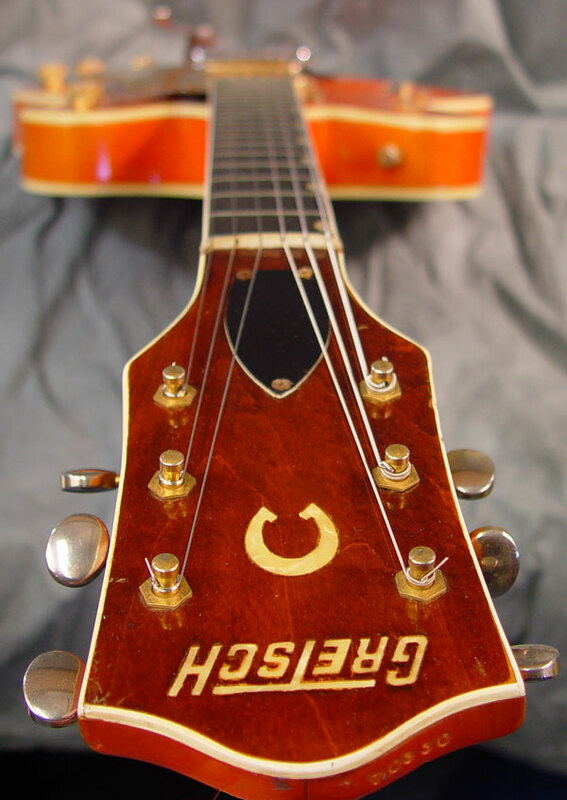 If pickgaurd is original (which is doubtful), the original color was sunburst. 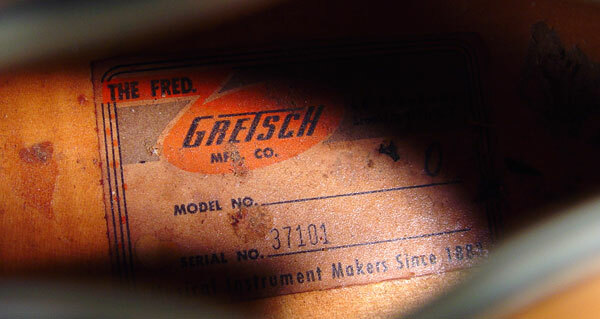 Hole cut in back of guitar. 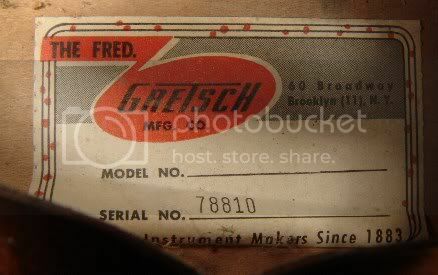 The tag on front of neck just simply say Chet Atkins Nasville Model.I'm wondering if it is worth enough to add it seperately to my home owners insurance policy.It will never be for sale. 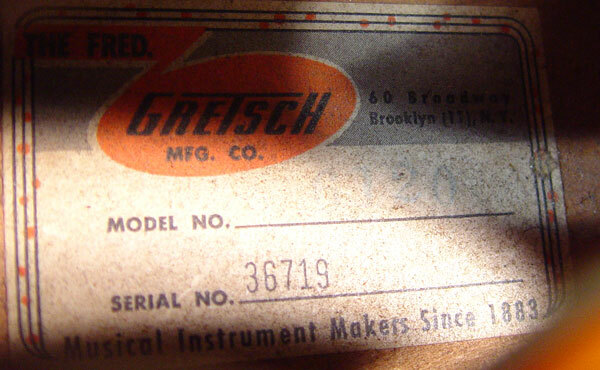 Step42368, Looks like you have a 1967 6120 Chet Atkins Nashville. As far as vlaue, dealers seem to be asking $2800 to $4500USD with $3500 being the average. 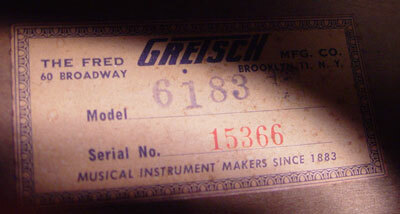 A lot of people confuse the later style serial number for early guitars. Had this been a 57 instead of a 67 that price would have tripled. great , thanks guys...i know it's hard to tell from pictures but does it look to be in pretty good shape? it still sounds great.Also will you add it to the list of SN on the page i saw? THANK YOU EVERONE!!!!! YOU ARE AWESOME. I've got these all logged in my registers. It is going to take some work to get these online. Many of these are duplicates, and it is a little harder to figure that out on the online version of the log. I have to do a "search" for each one. My own registers in not that way, as I add these in right into the middle of where each goes. I will have to print my log out, and do a quick stare and compare to figure what to add. 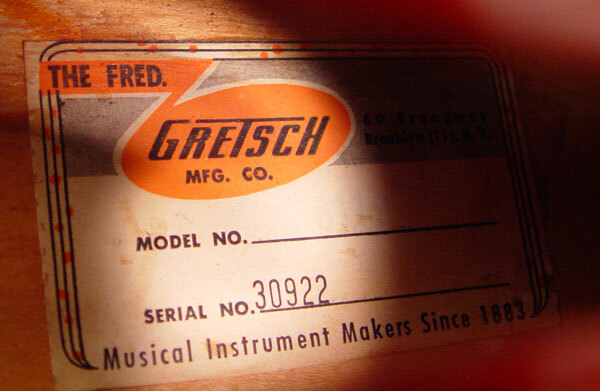 The registry has done wonderfull things for the Gretsch community, and this is a testiment to you guys. SPECIAL THANKS TO KC_EDDIE and ANTIKVIER! You guys ROCK! Glad I have been able to meet you both. SN 23720 1957 Blonde Country Club. Another for the list. Here's a 1963 Country Gentleman I was recently fortunate enough to acquire. 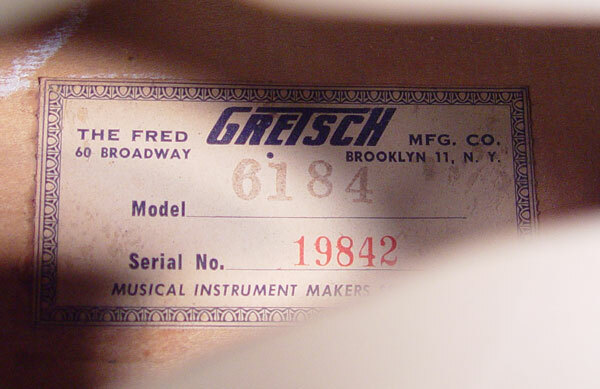 Serial number 61885 on the headstock plaque, it has full George Harrison features including Grover Imperial tuners, twin Filtertrons, dual flip-up mutes with red felt pads under the knobs and pickguard reading simply "Gretsch".